Volkswagen have their GTI, Skoda have their RS, and SEAT have the Cupra. It may still be a slightly offbeat choice amongst those better known badges but the sportier Spanish end of the Volkswagen Group have proved that they too can do everyday performance very well, and for a lower asking price too. 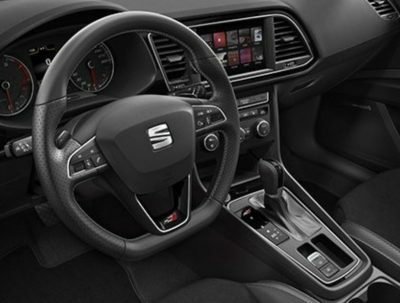 The latest incarnation of the Leon Cupra ST has been bumped up to 300hp and paired with a seven-speed DSG automatic transmission which sends that power to all four wheels. Offering the extra bootspace of an estate, it’s a force to be reckoned with if you’re looking for fast and furious fun, without sacrificing on practicality. The styling doesn’t give too much away as to what lies beneath, with the Leon being a reasonably sporty-looking machine already. 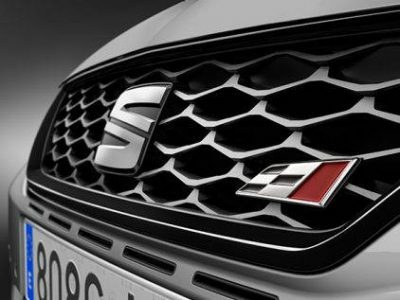 The Cupra touches are subtle but effective with red brake calipers peeking through a set of 19 inch machined alloy wheels, the famous Cupra flag on the front grille, and a slightly less demure Cupra sign splashed across the boot of the ST. If you think the outside is reserved, then it’s even more reserved in the cabin. It’s a very understated affair even in comparison to the already subtle Octavia RS and the Golf R. Signs your in a Cupra include a stylish set of Alcantara sports seats, embossed with again a very discreet logo, the token flat bottom sports steering wheel, and some Cupra door sills. It’s not the most exciting cabin in the world to sit in to for that reason, although some will appreciate its calm, elegant design. The ambient lighting built in to the Alcantara lined door frames add a real touch of class. Storage up front is pretty good, with a logically laid out centre console that incorporates cup holders and a phone tray to stash your road trip essentials. The dashboard layout is reminiscent of its Volkswagen Group siblings, but not quite there in terms of quality. In the back, space is also generous. There’s plenty of head and knee room for adult passengers, with a pull down centre armrest and a ski hatch in the centre for added practicality. Despite a generous load capacity of 587 litres, the ST is still not as large as the cavernous one in the standard Skoda Octavia RS. However, the wide square estate style opening does make it quite practical to load and it’s still a good deal larger than the standard Leon’s 380 litres. The Cupra comes with quite a long list of standard features including full LED headlights, Cruise Control, Dual Zone Automatic Air-Conditioning, ambient lighting in a choice of ten different colours, Parking Sensors, and a recently upgraded 8 inch touchscreen infotainment system. One area where it also lags behind its VW Group stablemates are the graphics on the infotainment system. They aren’t bad by any means and still a lot better than what’s on offer in the Honda Civic Type R, but definitely not as good as what’s in the Golf R or the latest RS. Functionality is otherwise good, with Apple Carplay and Android Auto as standard, and a user-friendly interface that doesn’t pose too much of a distraction on the move. On take off, the Cupra 300 could very nearly be your typical sensible, practical four wheel drive family estate. The DSG automatic transmission shifts seamlessly through the gears in a calm and seemingly fuel efficient manner. It’s very composed and solid, the steering is nice and direct and you are constantly aware of that underlying surge of power that feels constantly available, but only if you want it. All that changes when you select Cupra mode, which is surely the loudest and angriest of all the sport modes. 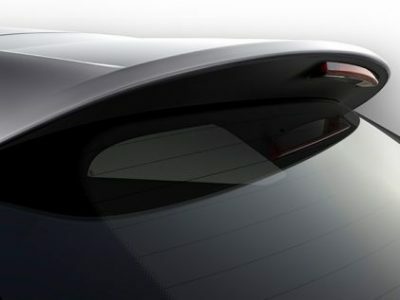 It changes the feel of the car completely. Everything suddenly gets a lot more frantic, it hold on to the gears longer and best of all, it gets sensationally loud in the cabin. Sure, some of it is synthetic, but it doesn’t make it any less fun for the driver. The four wheel drive gives it a surefootedness that makes it feel very easy to drive fast and without fear, and this whole combination of the longer boot, the four wheel drive and DSG feels very well balanced. It’s all a bit more controlled than your standard front wheel drive hot hatch, but no less exciting – especially with that noise. To go back to that sensible family car thing, the running costs aren’t as steep as you might expect. The official fuel economy figure is 7.2 litres per 100km (granted you’ll struggle to get close to that if you get too fond of Cupra mode) and annual motor tax is €570. 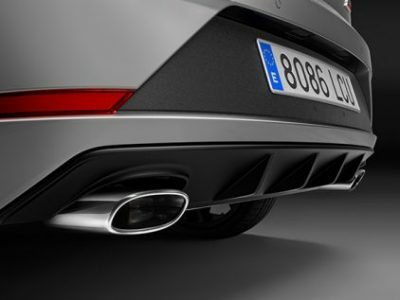 The solid VW underpinnings should make Cupra ownership a relatively hassle-free experience. The badge might not have the same prestige as some of the default hot hatches out there but it packs more punch than a lot of them – not just in terms of performance, but also for standard equipment and overall value for money.